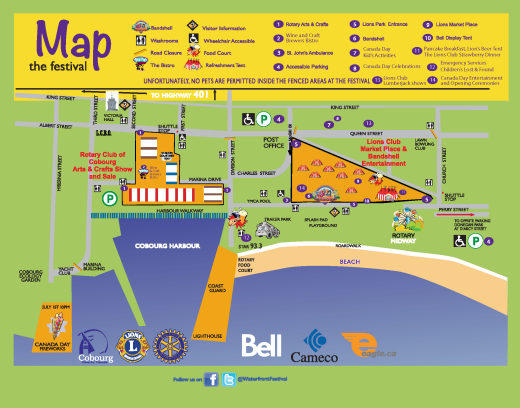 There is lots to see and do at the Cobourg Waterfront Festival. The event stretches along the Cobourg waterfront from Third Street on the west to Church Street on the east, north to Queen/Albert streets. Public washrooms are readily available and there are two Visitor Information booths operated by the Town of Cobourg. If you still can't find what you are looking for, just ask one of the many Rotary and Lions club members. We'll be glad to help.